Mark Twain's classic novel, The Adventures of Huckleberry Finn, tells the story of a teenaged misfit who finds himself floating on a raft down the Mississippi River with an escaping slave, Jim. In the course of their perilous journey, Huck and Jim meet adventure, danger, and a cast of characters who are sometimes menacing and often hilarious. Though some of the situations in Huckleberry Finn are funny in themselves (the cockeyed Shakespeare production in Chapter 21 leaps instantly to mind), this book's humor is found mostly in Huck's unique worldview and his way of expressing himself. Describing his brief sojourn with the Widow Douglas after she adopts him, Huck says, "After supper she got out her book and learned me about Moses and the Bulrushers, and I was in a sweat to find out all about him; but by and by she let it out that Moses had been dead a considerable long time; so then I didn't care no more about him, because I don't take no stock in dead people." 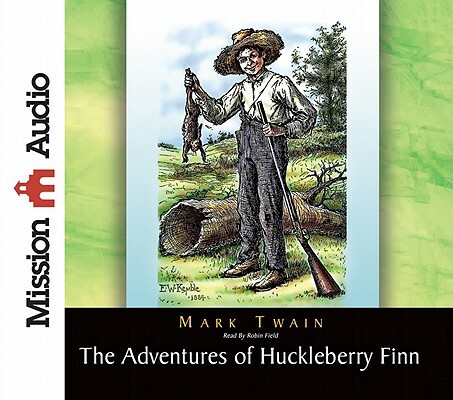 Underlying Twain's good humor is a dark subcurrent of Antebellum cruelty and injustice that makes The Adventures of Huckleberry Finn a frequently funny book with a serious message.